Cauliflower has never been at the top of my list of preferred vegetables. I’ve always seen it as a bland version of broccoli, probably because I never knew what to do with it. 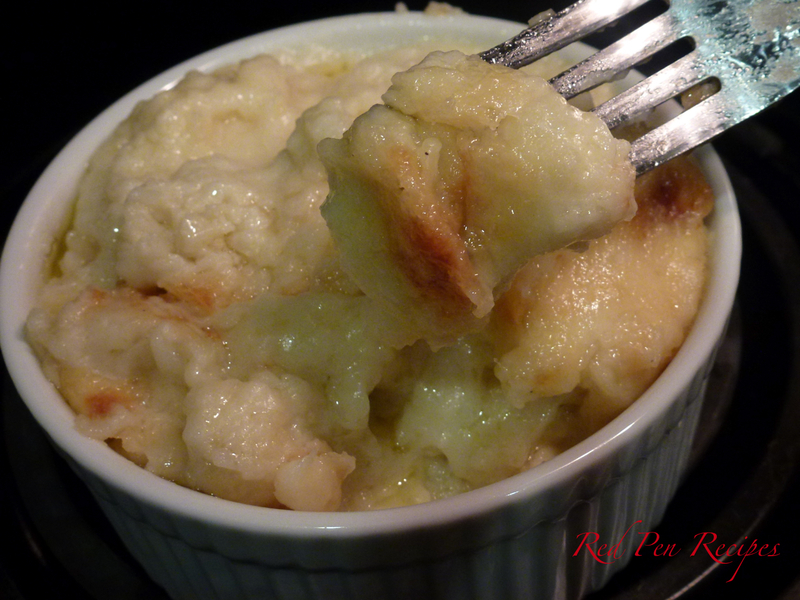 This recipe in Bon Appetít made me want to give it another chance. Cheese makes a lot of things taste better, and this recipe is no exception. While the original recipe didn’t specify what kind of Parmesan to use, choose a harder Parmesan, such as Parmigiano Reggiano, for the best result. Soft Parmesans will just turn gummy, but harder versions will become slightly crispy during the baking process. There’s a lot to like about this side dish. Roasting the cauliflower brings out the vegetable’s flavor, while the Parmesan adds a little salty, crispy kick to each bite. 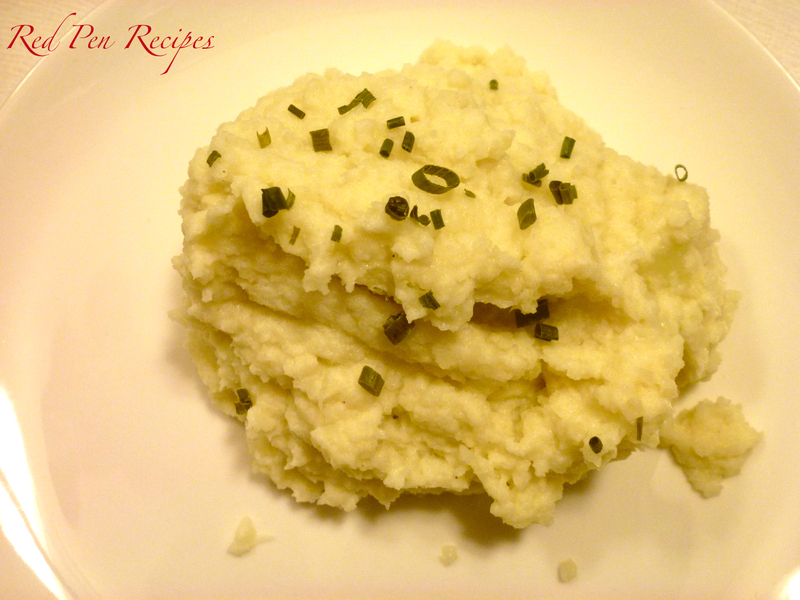 The roasted garlic is mellow enough to eat with the cauliflower without overpowering the other flavors. Next time I head to the grocery store, I’ll think twice about passing up the cauliflower. Preheat oven to 425 degrees F. Cut cauliflower into florets; toss on a large rimmed baking sheet with onion, thyme, garlic and olive oil. Season with salt and pepper. Roast, tossing occasionally, until almost tender, 35-40 minutes. Sprinkle with 1/2 cup grated Parmesan. Toss to combine. 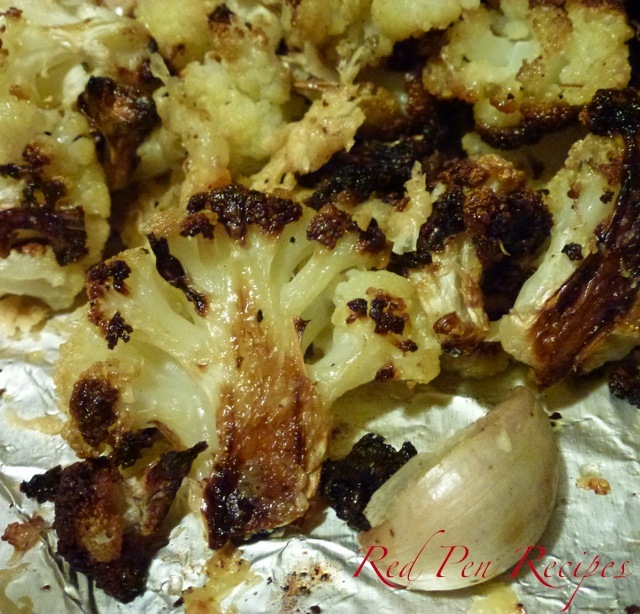 Roast until cauliflower is tender, 10-12 minutes longer.